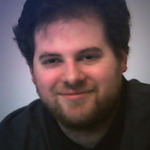 Sterilized game design is taking the phrase dumb down to new heights… or depths. What ends up happening is we have a game that becomes very routine with little depth or complexity despite the actual gameplay. These titles are overly linear in some fashion and makes playing or replaying them feel repetitive quickly. There are two ways that a game can become sterilized and it depends on whether or not the game was meant to be linear or non linear. Let’s start with linear titles as that’s easier to explain. The best examples of sterilized design are games entirely aimed at children: The Lego games, a lot of licensed IP titles etc. In these games, every level is designed specifically around one way to play with no room for growth or rewarding player mastery. You’re not so much playing the game as you are going through the motions. Sterilized game design is commonly seen in children’s games where they don’t want to challenge them. You’ll find that gameplay sections tend to repeat and the gameplay just feels copied and pasted with no new changes. If you look at something from Valve or Nintendo, they tend to repeat challenges or gameplay but with new variations or twists to present a new take for the player. We can also point to cookie cutter FPS titles as another example of sterilized game design. Where the player is just moving from cutscene to cutscene in linear corridors and shooting the same types of enemies over and over again. When talking about non linear titles, this is where things get interesting as we’re talking about conflicting game design. In previous posts, I talked about how even in games built around randomization that there is some layer of linearity to the design. 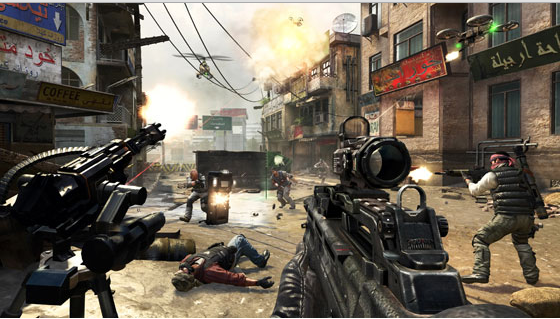 This is meant as a way of controlling the environment and to make sure that the game is kept balanced. You don’t want level 30 monsters appearing on the first floor of a dungeon for instance. But when we talk about rogue-like and other randomly generated games, the degree of randomization is important and what makes certain games stand out. If the randomization doesn’t have enough variety then the game becomes boring, too much variety and the game becomes uncontrollable. 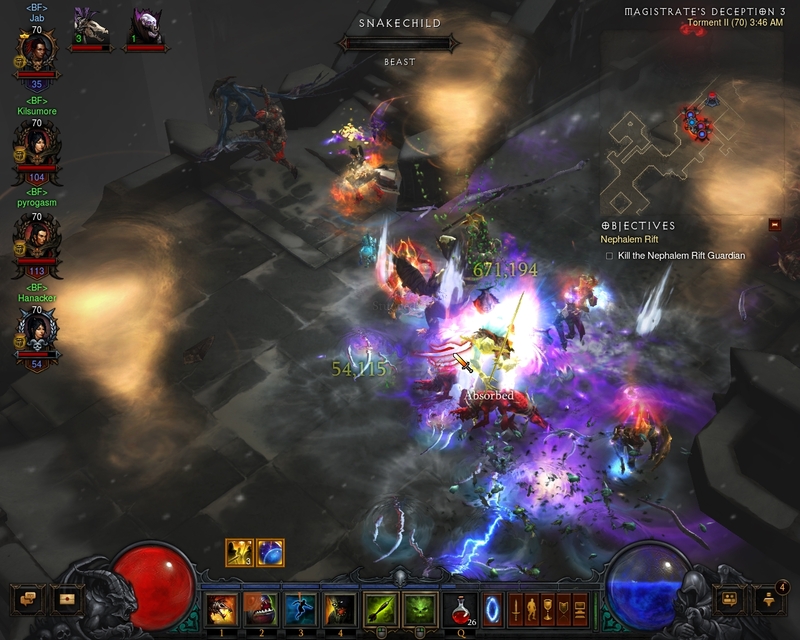 And once again Diablo 3 is a perfect example of when there isn’t enough randomization even with the game’s new adventure mode which was explicitly designed to keep things fresh. The problem is that despite the randomization present, the game is still very linear in two important areas: loot and environment design. With loot, the game doesn’t feature random loot in the sense that something is created completely original. But we can also call out overly linear titles aimed at older audiences as well. 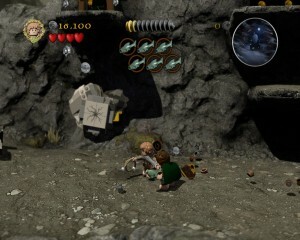 Instead the developers use a scale of values to determine the value of each piece of loot that is spawned. The higher the level of the item means that the scale of possible values trend higher. And this trend grows based on the rarity of the item. For instance: Let’s say a level 10 common axe has a damage scale of 20-25 for where its damage could be assigned when generated. Meanwhile, a rare level 10 axe would have its value scale at 30-35. And variables and modifiers to class abilities are exclusive to their unique gear. 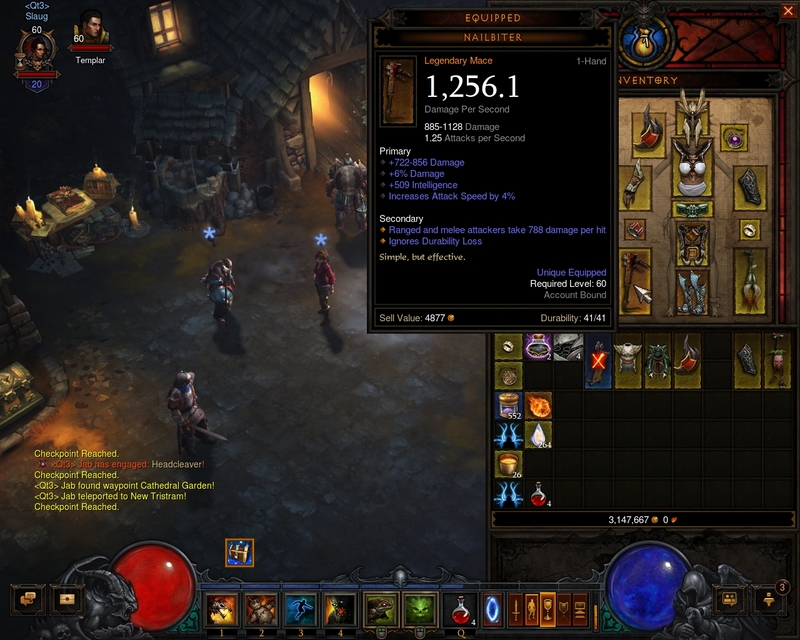 You’ll never find Demon Hunter abilities on a knife or Witch Doctor powers on boots. This limits what gear you can actually use in a given situation and makes the loot hunt very boring. With the environment, each area of the game has a base design that doesn’t change when it is randomly generated. This also involves the special events that can happen such as finding a cursed chest or a side quest. What ends up happening is that despite the areas being generated each time, their basic blueprint remains the same and becomes a chore to go through once you know what to expect. Unlike in Diablo 2 where there was this sense that anything could happen at any time in terms of enemies and possible loot, gave the game a lot more excitement and replayability compared to Diablo 3. Where here, the designers have all these systems and rules for when good loot is supposed to drop that it feels more manufactured than organic. The challenge of avoiding sterilized game design in non linear titles requires a careful balance between the random and linear elements. As I mentioned above, too much linearity and the game becomes boring and repetitive, too much randomness and things become out of control and the experience fluctuates wildly between plays. Figuring out said balance is difficult as it’s really dependent on the gameplay and design at work, and what works for one game won’t work for another. But we can examine from a broad view the choices the player has to make. Player choices need to be both varied and unpredictable in non linear titles. This goes back to avoiding the player discovering the best way of playing your game and it also prevents the game from getting stale. I talked about this in XCOM Enemy Unknown where the campaign choices are very similar on each play through. You know there will be a terror event at the end of month 2; every alien abduction comes in the form of three areas to choose from and so on. 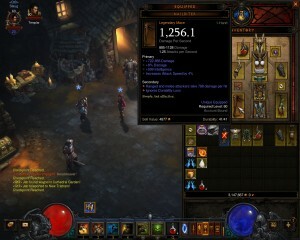 Loot design in Diablo 3 still feels restrained due to the direct game design decisions. 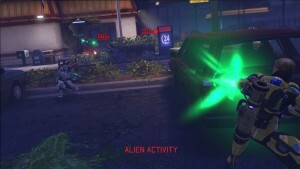 In the original X:Com, the main form of linearity in the campaign basically came with how the alien threat escalated gradually. You weren’t going to encounter ethereals in month one, but their actual appearance would varied based on the rate of missions and how much time has passed. Alien bases would appear if you weren’t doing your job and then it was up to you to find them and invade them. Those were examples of events that were non linear in their appearance, but linear by the steps needed for them to happen. The main point is that no matter what, you didn’t know exactly when these events were going to happen, just the situations that could cause them. That balance between linear and non linear is very important and so is presenting varied choices with no clear winner. The choices that work the best in avoiding sterilizing design are those that avoid presenting optimum ones. As we’ve talked about before, the second someone finds the best choice out of a group, they will most likely exploit it and render that choice meaningless. Optimal choices or repeated sections are not good for keeping an experience fresh. Presenting variety and avoiding routines can help when dealing with a non linear title. When talking about linear games however, the design has to be varied from the start. If you build your levels the same way and don’t offer anything unique, then there is nothing you can really add to avoid the game from feeling repetitive. It’s these kinds of choices that I’m hoping we see Blizzard integrate into Diablo 3 as the game continues to have a great foundation, but still feels too much like everything is being controlled instead of letting the player be the one in control of the experience.